Following the installation of the Science Lab featuring our innovative Spacestation furniture , British International School Tbilisi has chosen another popular system, Saturn and Mercury to be installed in two other labs. 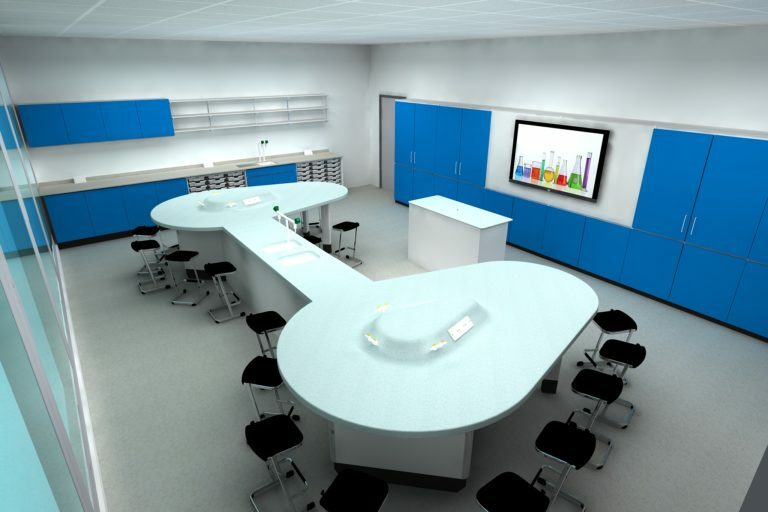 The circular and ovoid workstations with integral service console allow students to work in collaborative groups and also to face the teacher for lecture and demonstrations. Teacher’s demonstration bench, perimeter benching and teaching walls are also included in the design to allow for additional storage. The colors palette consists of shades of blues, such as aqua and pastel blue. The 3D drawing was provided at the design stage and made possible the visualization of the proposed design.